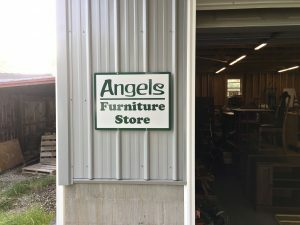 Some people reported they could not find the new Angels Furniture Store which is located at 112 Needmore Lane, next to the Angels Donation Center. They should go to the lower driveway which is at the far side of the brick house. 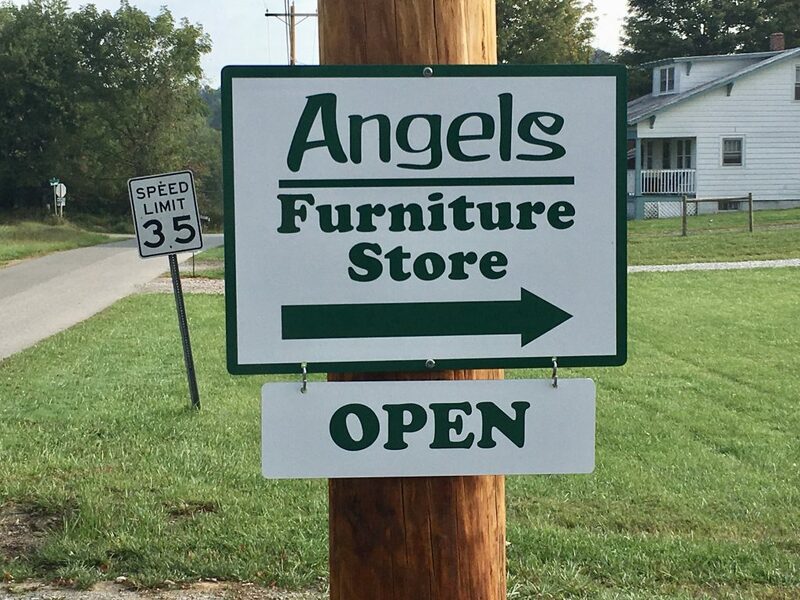 To make it easier, there is a new sign at the street pointing toward the Angels Furniture Store, along with an Open/Closed hanging attachment. Donations should continue to be placed inside the mini-barn at the upper driveway (to protect them from rain and to keep the front of the house looking neat), as it has been for years. 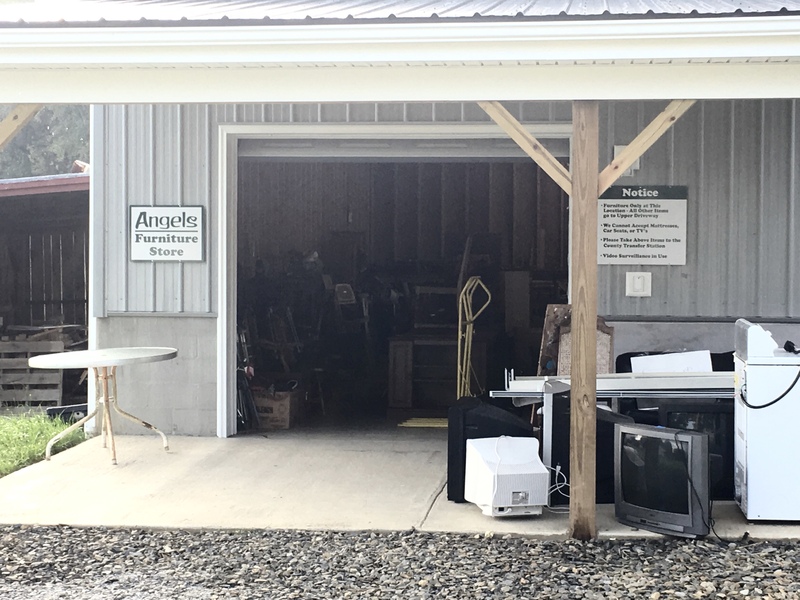 However, donations of large items such as furniture, bicycles, walkers, or sofas should be taken to the lower driveway following the sign to the concrete pad under the overhang in front of the new Angels Furniture Store. 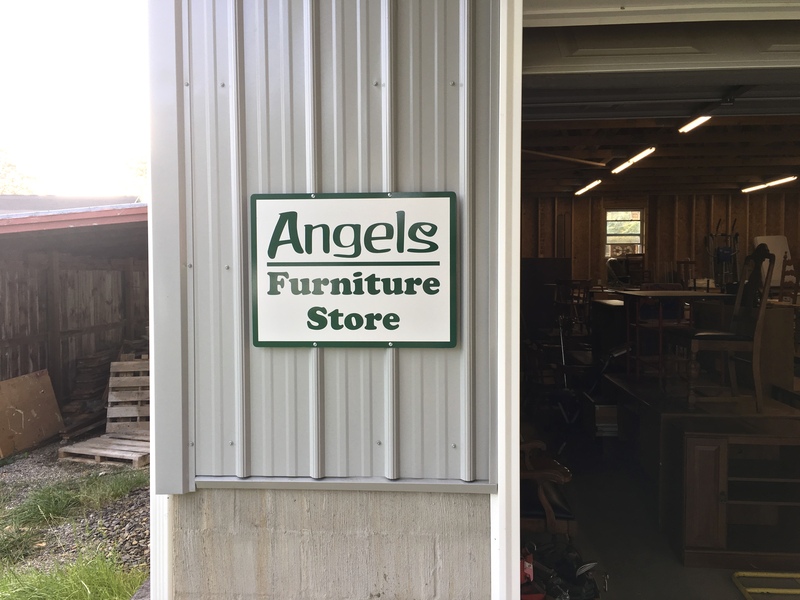 Two new signs are affixed to the front of the Angels Furniture Store. One sign identifies it as such, and the other sign reminds people there are a few donations which cannot be accepted for health or safety reasons, like mattresses, child car seats, and the bulky and heavy tube TVs. 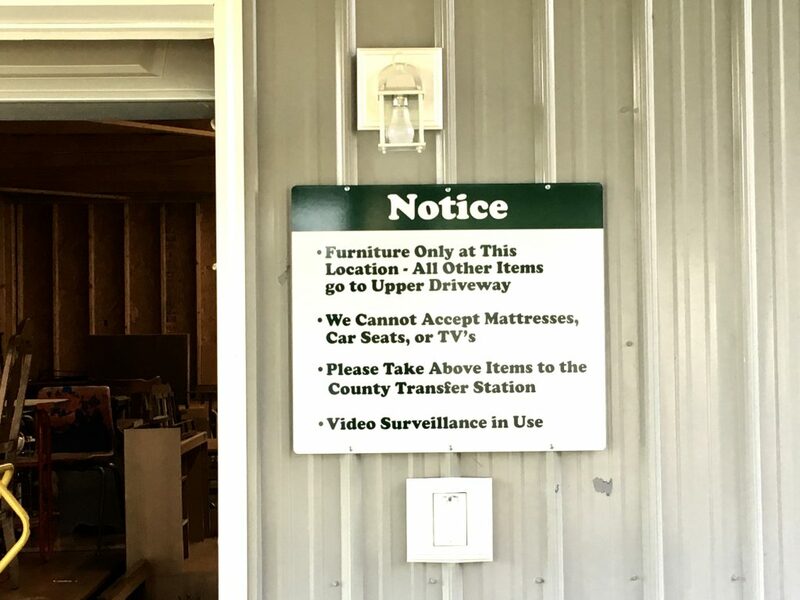 That sign reminds people that the County Transfer Station off Storkers Knob Rd accepts such items, and at no charge to local residents. Many thanks to Andy Finn of FinnGraphics, a local business, for responding quickly to our need, and installing the signs at a reasonable cost.